HCBB is a charitable grant recipient of Friends of Hawai'i Charities! 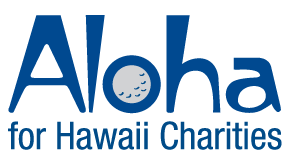 As a Friends of Hawaii Charities charitable grant recipient, we are honored to participate in this annual fund-raising opportunity, called “Aloha for Hawaii Charities,” offered in conjunction with the Sony Open PGA TOUR tournament. HCBB will receive 100% of every donation designated to us and Friends of Hawaii Charities will match a portion of it. Support Hawai‘i Cord Blood Bank today and give us a boost! · Make your tax-deductible contribution to Friends of Hawaii Charities, Inc.
· Our charity will then receive 100% of your donation plus a bonus boost from Friends of Hawaii Charities. Donations up to $3,000 will be eligible for the bonus funds. Your donation is made to Friends of Hawaii Charities and is tax-deductible because Friends of Hawaii Charities is a 501(c)(3) tax-exempt charitable organization.Your receipt for tax purposes will be the email confirmation you receive after you submit your online donation. Your donor information is confidential and will not be used outside of the Aloha for Hawaii Charities program unless you opt to allow Friends of Hawaii Charities to share your information with us – your designated charity. If you would like to make a donation by check, please click here for form, fill out and mail in. You may also contact us at Hawai‘i Cord Blood Bank for an Aloha for Hawaii Charities donation form. Friends of Hawaii Charities, Inc. is providing up to $100,000 in bonus funds that will be shared by qualifying Aloha for Hawaii Charities participating charities. Charities with a minimum of $1,000 total contributions qualify for the boost.